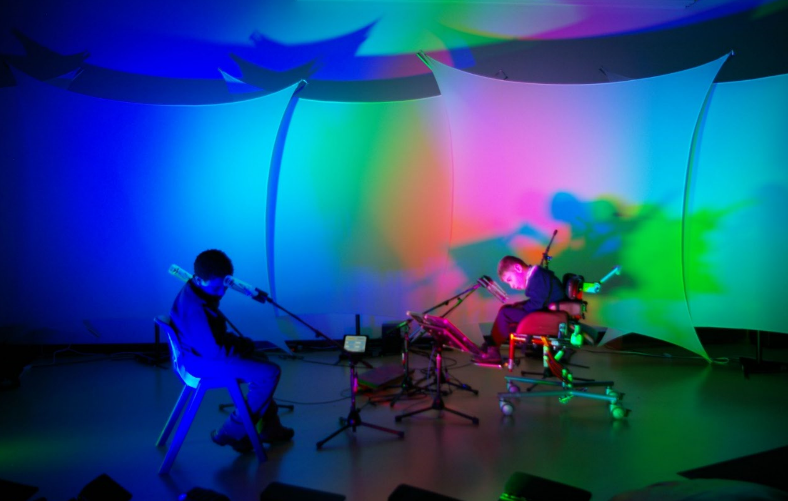 City Bridge Trust, the City of London Corporation’s charitable funder, has awarded £87,900 to the Eye Music Trust, a Croydon-based charity specialising in connecting music technology with colour, light and space. This grant will fund a three-year programme to bring sensory workshops, based on marrying colour and sound in the charity’s Colourscape installations in over 15 special educational needs schools in London. The project will cater to children and young people ages four to 19. Children will be treated to a spectacular show of light and colour in the Eye Music Trust’s newly developed touch paintings and movement sensors, allowing children to create music and control colour and light. At the end of the week-long programme, the children and young people will perform the music they create to an audience of family, friends and the public. In the long-term, the charity aims to place these installations permanently within schools, so that disabled children can create music, regardless of their ability to move. The funding has been met with excitement from Simon Desorgher, projects director at Eye Music Trust. He said: “This grant will help us to extend our work with the most disabled children across over half of London’s boroughs.